Maintaining consumer confidence in the safety and integrity of dairy products is a key priority for the industry on a global scale. Global demand for dairy products is rising and the popularity of nutritious dairy produce remains strong. Consumer expectations on food safety are high and food safety will be a key topic discussed in depth at the forthcoming World Dairy Summit in Belfast. Professor Chris Elliott from Queen’s University Belfast will give the keynote speech at the dedicated Food Safety Conference taking place during the summit, which will focus on the relevance of dairy products and the challenges faced by the food sector, drawing on country-specific experience from New Zealand, China and the UK. Professor Elliott is a world-leading authority in the detection and control of chemical contaminants in agri-food and led the UK government’s independent review of food systems following the 2013 Horsemeat scandal. He is currently the Director of the Institute for Global Food Safety. Dr Judith Bryans, President of the International Dairy Federation and Chief Executive of Dairy UK, added: “As a global industry, we deliver safe, wholesome and nutritious dairy foods to consumers all over the world and we are resolute in our commitment to keep doing so. 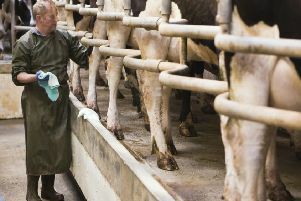 In addition to food safety, other topics will also be discussed during the summit, including issues surrounding animal health and welfare, science and technology, sustainability and farm management in the dairy sector. Emerging issues such as cyber security and 3D food printing will also be discussed. The summit will be hosted by the UK National Committee of the International Dairy Federation (IDF) and will take place in Belfast from 30th October to 2nd November.